Choose from our experiences! You can play single player, but multiplayer is most popular, you can play with up to 6 players in multiplayer! We also offer events for 12-24 people, where people can take turns in VR..
You can try multiple VR experiences with a single ticket! Usually one hour fits 2-3 experiences. If you haven’t tried VR yet, The Lab will be your first unforgettable VR experience. The Lab has something for everybody, a mountaintop from Colorado, shooting with bow and arrow or exploring the plantes of the solar system. Of course everything with a hint of humor. The Lab will blow you away in an instant, but you can spend hours if you want to explore every last detail. Raw Data was awarded the title “Best VR game of 2017”. Very intense robot shooter, Raw Data will get you immersed and moving from the first seconds of the gameplay. It is our most popular shooter game in single player and multiplayer. Live through the zombie apocalypse in the Arizona desert! Arizona Sunshine is a complex and realistic game with stunning visuals, gorgeous landscapes, fun story and of course hordes of zombies. The year is 2050, where robots have take over all labour from humans and you have to go to a museum to know what is was like to work in the old days. Job Simulator is a “realistic” simulation of today’s common jobs, like: office worker, gourmet chef, store clerk and auto mechanic. The game has adorable graphics and lots of humor and jokes. Job Simulator is the favorite game of kids, but you should try it as an adult too! Discover Planet Earth in stunning virtual reality! 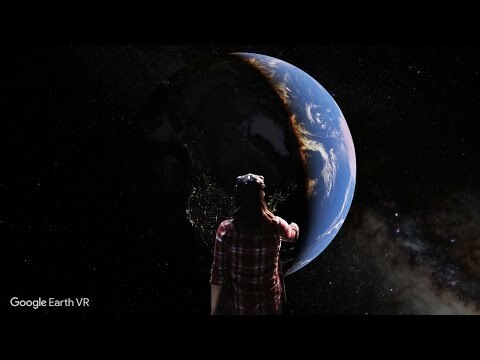 In Google Earth VR you can visit any place on the planet be it New York, Florence or your hometown. Best choice for players who seek a relaxing and calm VR experience. If you are looking for a hard and intense VR experience, then The Brookhaven Experiment is the game for you! Classic zombie horror game, where you stand in the center of a deserted, dark city with only a gun and a flashlight. The monsters can attack from any direction, you better watch your back! 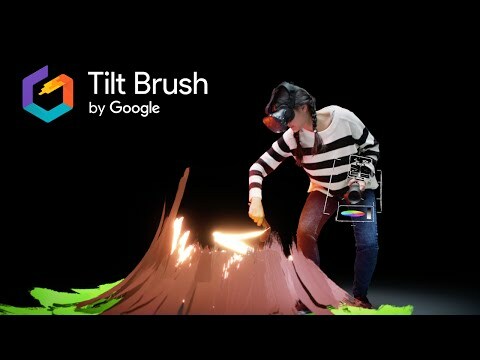 Google Tilt Brush is a beautiful 3D paint application, where you can draw in real 3D, you can walk around your drawings, or you can hold them in your hands. Browse through glowing brushes or decoracte with a snowfall effect! You can take snapshots and videos of your drawings and take them home!